Mondays with Myrt ARCHIVED: What's with those huge zucchini? What's that I'm holding? During the live broadcast, Mr. Myrt brought in two of the four gigantic zucchinis we picked and lugged in from the garden this week. We did speak about genealogy, and touched on most of the topics as planned here. Continue the conversation here in DearMYRTLE's G+ Community. Ya know, good Ol' Cousin +Russ Worthington pointed out that Ol' Myrt here should blog with the link to the archived version of each Mondays with Myrt Hangout on Air. So here we go with today's broadcast. from his website at right. "In an effort to refocus my efforts on genealogical research and writing, I will no longer be selling recorded copies of my webinars effective 29 September at 11:59 pm Pacific time. There will be continued support of previously downloaded presentations for some time after that, but sales will not be processed after that time. All of my 40 plus webinars are being sold for $5 each during this time. There are a wide variety of topics on genealogy methods, sources, and search techniques. Please share with your readers, fans, social media venues, etc. This has been a great run, but I need to direct my efforts elsewhere." 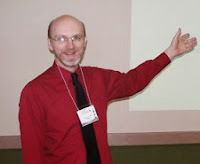 Michael is an integral part of the professional genealogical community. As a real-life math instructor, he knows about dividing up his time and multiplying his efforts. Each must take time to reevaluate where to put one's energy. We have learned much from Michael John Neill's webinars. I look forward to telling my DearREADERS about the new things he decides to do with his genea-time. Genea-Musings: Day 9 on the Celebrity Millennium Cruise - Costa Rica! Did your Ancestor Build a Grand Home in Paris? JOIN us on the panel, or VIEW via the YouTube channel, but BE THERE for another jam-packed episode of Mondays with Myrt, A Hangout on Air on the Google+ platform. YUP, it's Monday and you know what that means! JOIN us for Mondays with Myrt. All sorts of things to discuss today. Find local listings for the *Genealogy Roadshow* on PBS stations in the US TONIGHT. Earlier this week I posted on G+ and my FB page in response to James Tanner's Any New on FamilySearch Certification of Third-Party Products. "Extremely sad that +FamilySearch permits this continued dysfunction. THIS is why I waste no time with FamilySearch Family Tree and WHY Ol' Myrt here insists on maintaining my own genealogy database. There is NO WAY the concept "one big family tree" can work. It was a beautiful ideal, but owing to human frailties in research and in use of technology, FS Family Tree just w.i.l.l.n.o.t.w.o.r.k!!!" Yesterday James wrote Genealogical Ownership and Isolationism where he states "In a recent pate of online discussion about FamilySearch.org's Family Tree, I was mildly amused to see so many comments from genealogists who were not going to use Family Tree because they didn't want some one to mess with "their data." It might be a revelation to some of these folks, but the fact is that you don't own your genealogical data." He then goes on to discuss copyright as some genealogists erroneously see it. It's that the concept of one great big, pie in the sky, family tree database just doesn't work. Remember you are talking to the queen of genealogy social networking here. I cut my genea-teeth on a 300 baud modem, using dial-up in the FIDOnet days. That's how important I think it is for genealogists to collaborate. I believe it is essential to share my research with others who may spot my mistakes. That's why I maintain my genealogy blog and have several Ancestry Member Trees, etc. Peer review is an essential component for Ol' Myrt here to keep climbing the right branches in the family tree of man. NOTE from DearMYRTLE: This was just received from our friends at FamilySearch.org. This photo sharing and preservation service has experienced amazing growth in a short period of time. 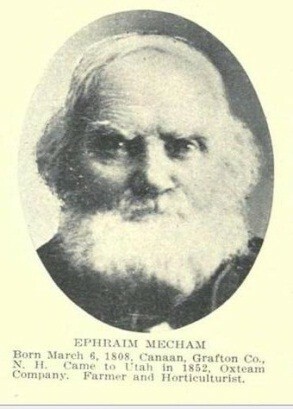 Meet Ephraim Mecham. On September 10, 2013, this portrait of Ephraim Mecham became the one millionth photo uploaded to FamilySearch.org by contributors! And FamilySearch is pleased to announce with this major milestone that Ephraim's photo, along with the other million photos, will now be preserved forever for free online at FamilySearch.org. The Photos and Stories features on FamilySearch.org were introduced to the public on April 16, 2013. Since that time, thousands of people have participated in the exciting process of uploading, tagging, and linking their ancestors' pictures to the Family Tree, along with their genealogies and stories. The photos are public and can be seen without signing in. An invitation to see a photo can be shared socially through Facebook, Twitter, Google+, Pinterest, and email. By clicking on a shared link, the visitor is taken directly to the photo for viewing. If you sign in, you have the option to upload pictures to FamilySearch.org by dragging and dropping them or by browsing your computer or device to locate the photos you'd like to put on the website. You can also upload photos from your smart phone or tablet-any device with an Internet connection. You have the ability to tag all individuals in a photo (or indicate who they are). Once a photo is tagged, you are able to link individuals in the picture to their profiles in an online family tree. If a person in a family tree has more than one picture in his or her profile, you can also choose which picture is the default one on his or her personal page. This default photo is the one that visitors will see first. If a photograph has many people in it, you can tag each individual and use it for their own profile pages. Each photo can be given a title of up to 255 characters and a description of up to 4,000 characters, which are entered under the details of the photo. Your username will be associated with the uploaded photo, and you never know what impact you'll have. Ninety-year-old Lois contacted a contributor of a family photo in her FamilySearch family tree and discovered a distant relative. In return, he has shared information with her that she never knew before. As your photo collection grows, you can organize photos into albums according to families, individuals, or whatever works best for you. Maybe you have photos of people you're having trouble identifying. Why not put them in an album labeled "help me identify" or "unknown relatives"? Nanette recently scanned and uploaded the photos from her great aunts' collections. She was not able to identify everyone in the pictures. After a week or so, she was amazed to find that others online were able to correctly identify the unknown people in the photos right there on the website. As you view photos of people in your collection, you can see who they are related to: parents, spouse, and children. Currently, photos are limited to five megabytes (5 MB) in size, but photo size is planned to be expanded in the coming months. Photo type is limited to JPEG and PNG, but it is anticipated other file formats will be accepted soon. You can publish and preserve thousands of family photos for free. Here's how to get started. First, you'll want to see what pictures are online of your ancestors. Go to the FamilySearch.org website, and click Photos at the top of the page. Click the blue banner that says Find photos of your ancestors. A page with photos will come up. Photos with a gold banner across the bottom right corner indicate photos added by others. These are your relatives! Now it's your turn to upload photos. If you don't have a traditional scanner, you can use your cell phone. Just take a picture of your family photos, use the browser on your phone, and go to FamilySearch.org. Then click on Photos, and proceed from there. If you know photos that exist of your ancestors but belong to other family members, contact these relatives and ask them to publish the photos to your family's tree, or set a date to scan or take pictures of their collection. You can also send out a request for family photos over social media to your relatives. If there are family heirlooms (photos, furniture, bric-a-brac, letters, mementos, medals), take pictures of them and upload the photos to the profiles of your ancestors in the family tree. Then stories can be added by anyone to support the photos and describe them. These photos and stories will become keepsakes for everyone to have and will be preserved freely for future generations. Once your pictures are uploaded, they will be preserved forever. Every photo is backed up with a redundant system and preserved in state-of-the-art archive facilities. Each ancestor's photo will now be available to every descendant that individual has or will ever have. If you have a desire to preserve your ancestors' photos, it has never been easier. It is fun family history! Here is an opportunity and way to get started. You'll have it done sooner than you think. Visit FamilySearch.org today. Your family pictures can be part of the next million photos on FamilySearch.org! Thank-you to MGP Study Group panelist +Kathryn Lake Hogan for spotting the newly added link to the Errata and change pages for Mastering Genealogical Proof. The publisher has posted this on the same page where one may view the table of contents, a sample exercise and order the book. 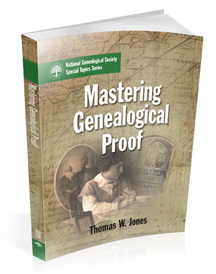 Mastering Genealogical Proof by Thomas W. Jones is the most exciting breakthrough publication since Elizabeth Shown Mill's Evidence Explained. Elizabeth devotes the first two EE chapters on analysis, and then focuses on citations. I recommend taking week-long, in-depth institute courses from both professionals, to hone your personal research skills. Whilst traveling from the nephew's wedding in Ohio, I received an email from Daniel Horowitz, Chief Genealogy Officer at MyHeritage.com. 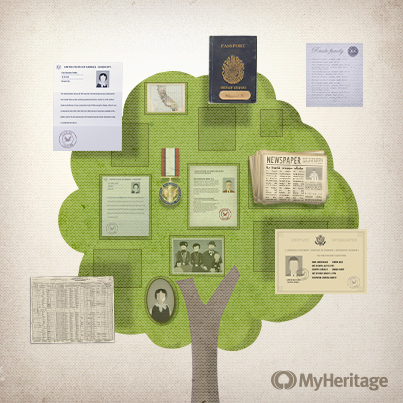 The new "Save records to your tree" feature has been long awaited, and is a natural progression to providing a rich online tree experience for MyHeritage users. Here's their info graphic and link to details on how to use the new option. 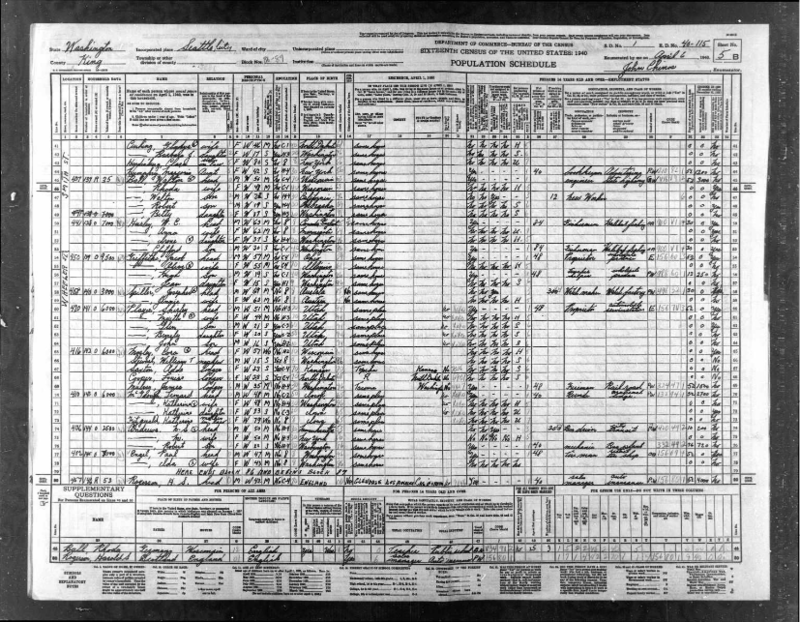 Myrtle Player in household of Shirley Player, "United States Census, 1940"